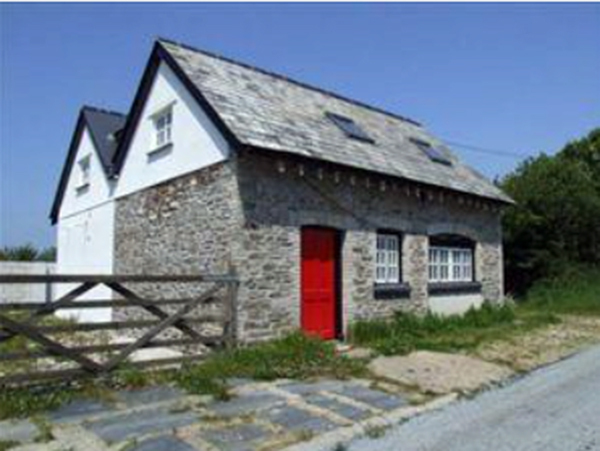 Tregeare Wesleyan Chapel | Launceston Then! With research by Derek Collins in 1996. It is believed that John Wesley possibly preached on ‘Tregeare Green’ in 1747 and he again visited the small hamlet in 1755 this time the more grand setting of Tregeare House was the setting. Like other areas his teachings resonated with many local people and in 1784 the first chapel (below) to be constructed for the whole of the Launceston area was built in Tregeare. 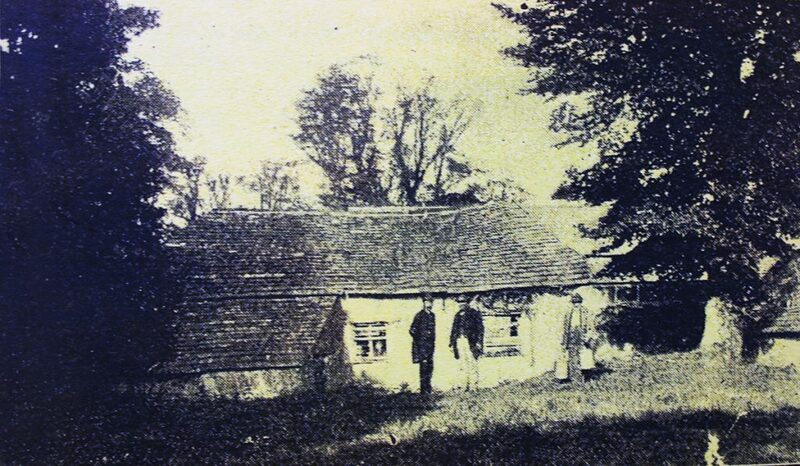 This building is believed to be in the rear garden of ‘Greywings’ adjacent to the lane south west of the later chapel. The Original Tregeare Wesleyan Chapel built in 1784. 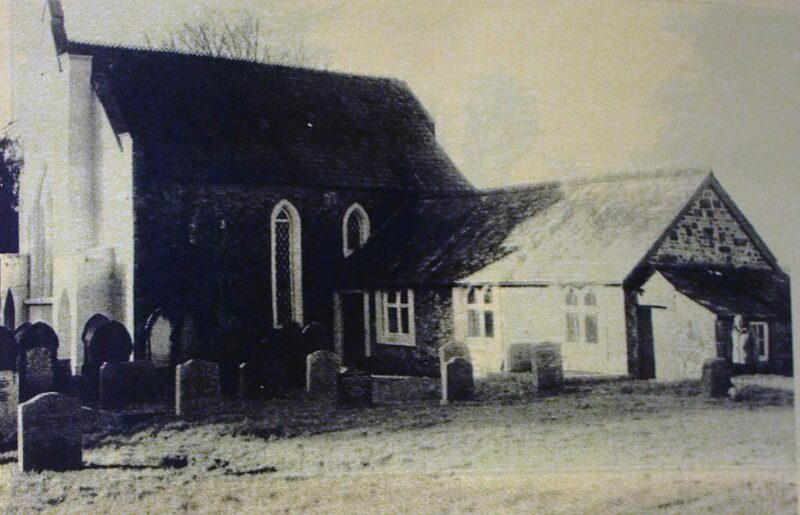 As the congregation grew over the next 60 years, this chapel soon proved to be too small and so on May 30th, 1843, land was purchased from a William Symons of Tintagel for the sum of £45. This was part of an estate called Dinners Ground. On this land a new chapel was built opening in 1844. The building was not registered for worship however, until 1854, when on June 29th it was officially dedicated by Richard Dingley. Just under 40 years later in 1881 the chapel was renovated including a new ventilation system costing £100. At the same time a new Sunday School was added. Further building work including the re-pointing of the chapel was performed in 1901. In 1920 a memorial tablet was fitted along with a special stained glass window at a cost of £18. With the Second World War in its full, the Chapel’s centenary celebrations had to be put on hold, finally taking place on November 20th, 1947. 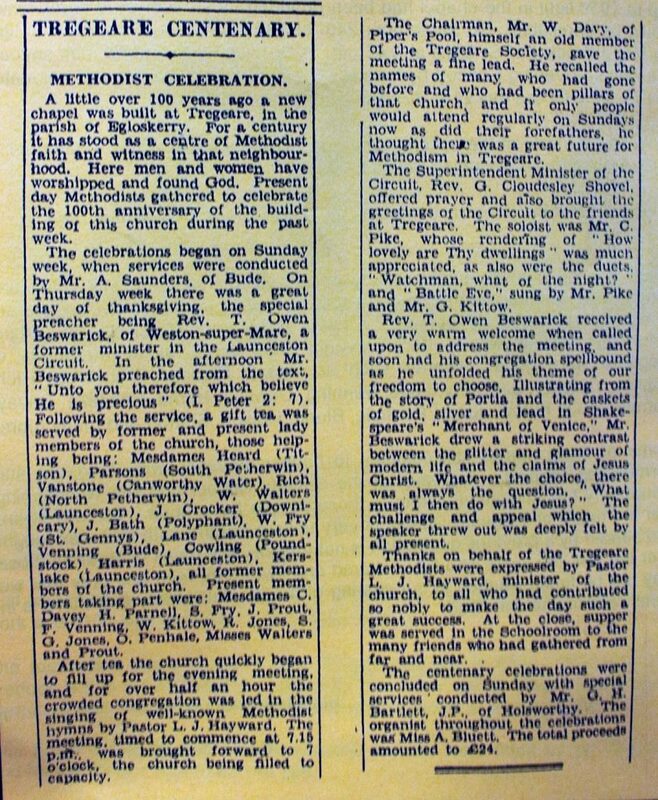 More space was needed for burials and in 1952 saw the consecration of a new burial ground. This was conducted by Rev. C. H. Rive and Pastor W. E. Watkin. 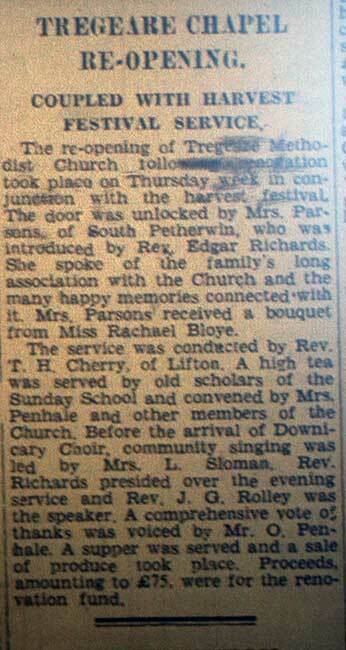 A high tea followed when the Mayor of Launceston, MR. R. L. Hicks, was guest of honour. The evening service gave opportunity for many past members to give thanks for Tregeare’s witness and a ‘Memory Tree’ was stripped of its gifts. A supper followed and in total £90 was raised. In 1957 the building was re-decorated reopening in the October of the year. Lighting up to 1959 was by an unreliable acetylene pump, so in that year mains electric was connected, with the official switching on being held on September 24th by Mrs. J. Crocker of St. Giles. A service followed and then savoury tea with an Evening Concert by friends from St. Austell. The gift tree amounted to £71, and the total for the day raised £145 17s. 6d. In 1979 the coach house (above) was sold and a special effort in the September to raise money for redecorating raised £1,009. In the January 1989, the Chapel received a ‘Grade II’ listing. 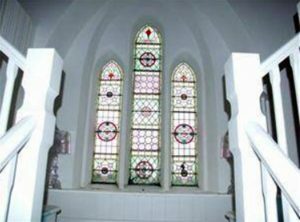 On the weekend of October 12/13, 1996, the Chapel celebrated its 150th anniversary with a concert by the ‘Porthpyra Singers‘ followed by a supper on the Saturday. And on the Sunday a special ‘Service of Thanksgiving’ was conducted by the Rev. Collins. However, by now the congregation was is such decline that keeping the Chapel going was not sustainable and in the 2000’s it closed. 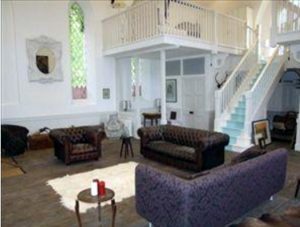 In 2005 the Chapel was sold off to be converted into a private dwelling (below).